A.G. Coombs Service is a specialist building services maintenance provider. We provide professionally managed, highly qualified technical staff to achieve improved reliability, energy efficiency, and regulatory compliance. Established in 1961, we support a very wide range of facilities nationwide including commercial office and retail portfolios, major shopping centres, universities and TAFE colleges, libraries, art galleries, and performing arts venues, automotive and pharmaceutical manufacturing facilities, mission critical sites such as emergency services facilities and data centres, and hospitals and healthcare facilities. Many of these are long-term customers reflecting A.G. Coombs’ consistent high level of performance. Providing industry leadership in customer service outcomes, A.G. Coombs provide a range of initiatives to deliver high quality customer service standards. 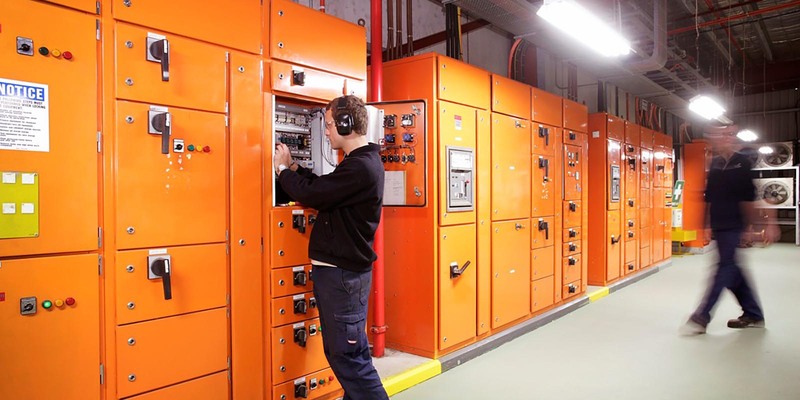 In-house multi services technical capabilities allow us to provide an integrated maintenance solution for multiple technical systems in buildings, creating a single point of responsibility and improved performance and economies to customers. Fifth generation field information technology in the hands of experienced technicians and real time two-way data transfer supports our world-class computerised asset and maintenance management systems. These systems can be directly interfaced with customer management systems for the seamless transfer of accurate and detailed maintenance, compliance and asset information to improve decision-making and corporate reporting. Alternatively, our customer information portal provides information when you need it, day or night, with archival storage capabilities for asset and compliance records. A.G. Coombs provides sophisticated building tuning programs and an approach to maintenance that is focused on getting buildings to work properly and be the best they can be. This provides a cost effective basis for further improvements through system alterations and enhancements. Our use of Building Management and Control System analytics and Building Energy Optimisation Programs is significantly improving energy efficiency and NABERS Star ratings, and asset quality, maintenance cost and performance outcomes in a number of building portfolios around Australia. Integrated with innovative Energy Efficiency Maintenance and operational methodologies, A.G. Coombs is also ensuring that these improvements are retained in the long term. Sophisticated logistics and dispatch systems, well trained personnel and strong reporting processes assure the delivery of Essential Safety Measures Maintenance and firmly underpin our ability to deliver service level KPI’s and effective maintenance and breakdown services when our customers need them. Since 2000, we have operated a best practice, fully integrated safety management system that is independently certified to Australian Standard AS/NZS 4801:2001 and the stringent Victorian Government SafetyMAP ‘Advanced’ requirement. This combined with a strong safety culture assures safe working practices and the health and safety of our personnel, customer’s staff and building occupants. Continuous improvement of this system continues to deliver safer workplaces and buildings. We provide direct access to industry leading engineering and technical specialists from A.G. Coombs Advisory covering all aspects of building services; mechanical and HVAC, fire protection, lighting and electrical services, hydraulic services, on site generation, building management and control systems and energy efficiency and sustainability. A.G. Coombs Service operates a Contract Management structure which places senior and experienced technical staff in charge of maintenance contracts. With a very high Contract Manager-to-technician ratio, this approach is fundamental in driving customer value and achieving high service standards. It ensures that our customers have the right level of technical support when dealing with problems, and have access to a manager that can make decisions on a broad range of issues and provide a single senior point of contact for feedback. Importantly, this structure also means that we are able to focus on our customers’ businesses and fully understand your requirements. 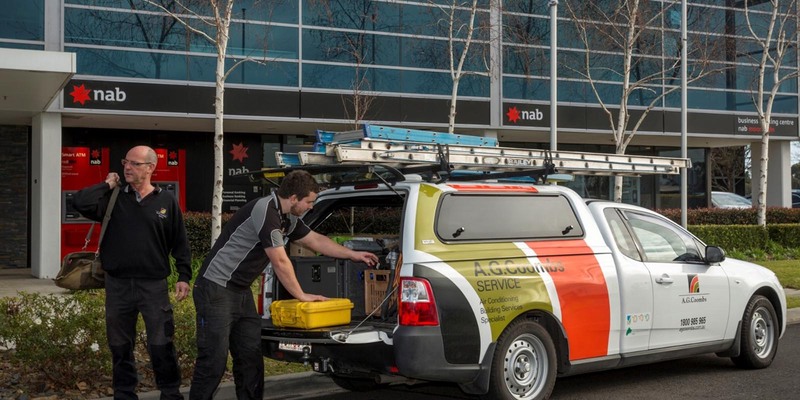 A.G. Coombs’ NCSC is staffed by a team of experienced and knowledgeable Customer Service Representatives to coordinate national maintenance activities across the Group. Accessed by email, internet portal, telephone or facsimile, the NCSC ensures a prompt response to our customers’ service problems and requests, dispatching technicians and coordinating maintenance activities. We are very happy with the significant energy savings achieved by A.G. Coombs Service in conjunction with our in-house maintenance engineers. Implementation of the dead band strategy has been a huge success, with improvements promising to have ongoing benefits for years to come. A.G. Coombs plans, manages and delivers whole-of-asset-life maintenance services across the University’s multiple campuses. 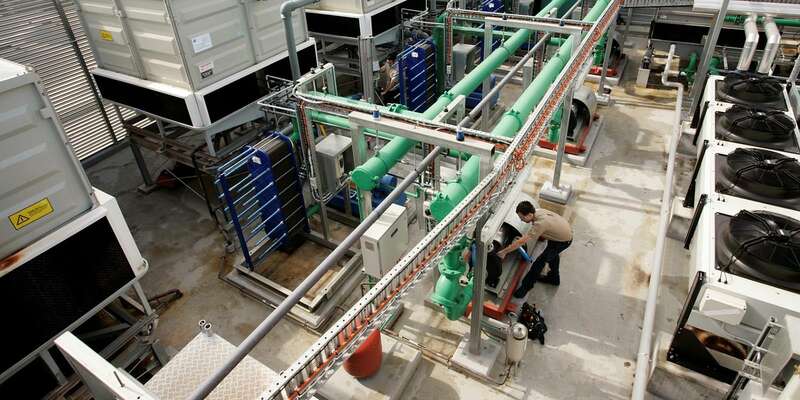 A.G. Coombs is delivering specialist maintenance for the MCA's HVAC and energy systems.